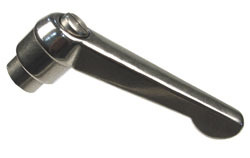 Handle is made from solid 303 stainless steel and completely cavity free. The ideal handle solution for the medical, food, chemical, pharmaceutical and marine industries. Life & Release: You are able to disengage the internal splines while the insert stationary, allowing you to rotate the handle to the desired position. 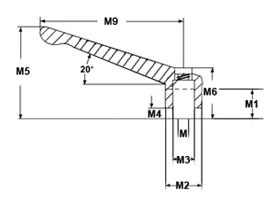 The internal conical spring returns the handle to re-engage the splines for tightening or loosening.